On August 10, 2008, Baditude entered the UK Singles Chart at #34 on downloads alone. The following week, the song climbed to #29. 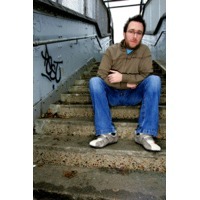 Simon Neale (born 1977 in Portsmouth UK) grew up listening to a mixture of synth-pop, early 90's House & Rave, and attended a secondary school that had an undiscovered TB-303 and Juno 60 in the music room cupboard. Nowadays using his 'Dave Spoon' alias he's firmly established himself as one of the hottest DJ/producers the scene has to offer, releasing top quality productions with his trademark groove and rocking dance floors across the globe. Signing '21st Century' to Toolroom Records in 2004 was a key point for Spoon, an instant success supported by the likes of Pete Tong, Roger Sanchez & Erick Morillo to name a few. The piano led 'Sunrise EP' followed and was instantly signed to Seamus Haji's Big Love imprint. With a lot of buzz surrounding his releases, the remixes poured in with re-works for the hottest labels such as Joia, Cr2, Sony/BMG, Columbia & Island.